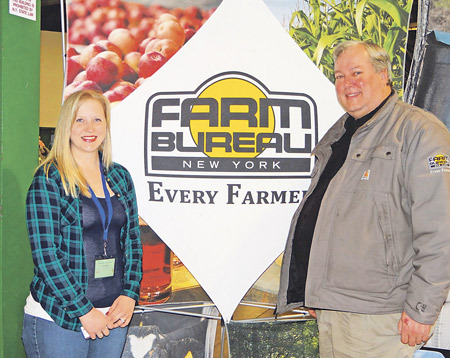 A brand new location, along with a new name for the NYS Maple Conference highlighted the 24th annual event. 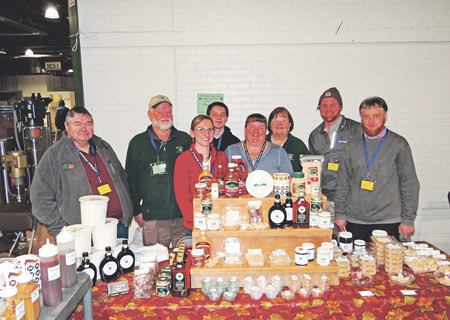 Now known as the “Mid-Winter Maple Classic (MWMC)”, the event took place at the NYS Fairgrounds in Syracuse, NY, and was hosted by the New York Maple Producers Association, New York FFA Alumni Association, and Cornell University’s Maple Team. Keith Schiebel, Maple Conference Coordinator for the past 20 years, was overwhelmed with the huge turnout and success of the event. 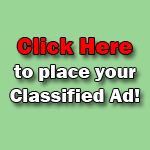 “By far, this was the best maple conference ever!” said Schiebel, reporting record high attendance, with 1,122 conference participants — an increase of nearly 20 percent over the 2018 conference, and participants attending from 18 states and Canada, which is the highest number of states ever represented at the 24-year old event. During the two-day conference, participants were able to view 66 maple trade show vendors, displaying the latest in the entire maple production process, including technologies, trends and techniques. Educational workshops and demonstrations led by industry leaders and researchers were available to all attendees, targeting beginners and hobby producers through advanced producers, with a large variety of topics including, to name a few, how to tap trees, grading syrup, maple candy production and other value-added processes, working with reverse osmosis, vacuum principles, strategies for successful marketing, providing bird-friendly environments, updates on invasive insects, diseases and IPM management of maple trees, and even chainsaw safety. Paulette said the association plans to use proceeds from the conference to provide FFA student scholarships and chapter grants. 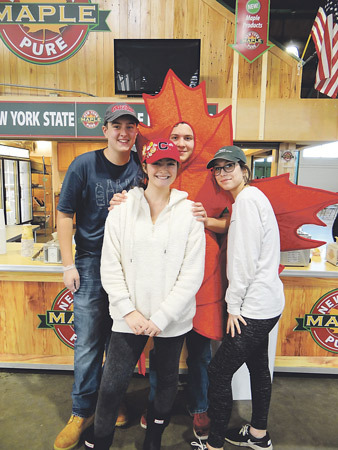 Schiebel reported that FFA chapters from across New York State assisted with conference operations, with each school providing at least 10 FFA members to work as guest services, security and food service, and to assist with set-up and tear down of the maple trade show. FFA chapters assisting in the event included Delaware Academy (Tina Miner-James, Advisor), Madison (Paul Perry, Advisor), Marathon (Crystal Aukema, Advisor), Mount Markham (Eric Bugbee and Katie Lindsey, Advisors), Northern Adirondack (Karen Gilmore, Advisor), and Otselic Valley (Roger Barkman, Advisor). Each chapter received a $500 stipend for their efforts from the NYS FFA Alumni Association. Thomas reports that membership in the NY Maple Association has grown steadily over the past 10 years. 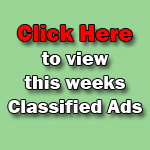 “We’re now at about 750 members.” Thomas said there has been over 350 percent growth in New York State. 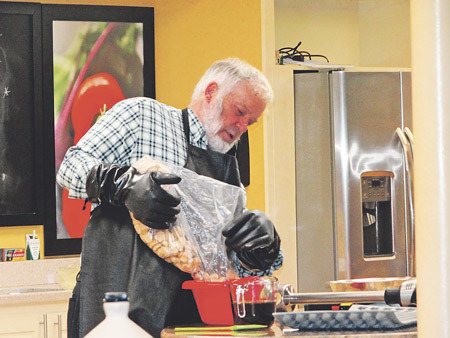 The NYS Maple Conference, which began with about 200 people, is the largest maple event in the United States and is forecast to increase in size for next year’s event, with planning already underway.